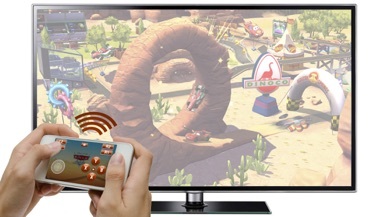 Play Gameloft’s Samsung TV 2014 games like never before with this Mobile controller app! 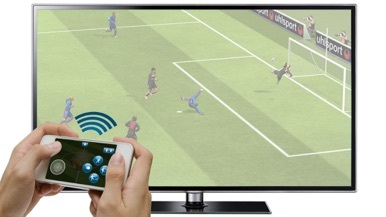 With this app you can use your mobile device as a controller while playing on your Samsung TV Real Football or Cars. NOTE: This is only a controller app and does not include any games. You will need to purchase compatible games separately from your Samsung TV 2014 set for this app to function. 1) Download one of our Mobile App Controller (support for Real Football and Cars) for your Samsung TV on the Store . You will also need to download this controller app on your mobile device. 2) Connect your Samsung TV 2014 and your mobile device to the same Wi-Fi network. 3) Launch one of Gameloft’s Samsung TV 2014 games that are compatible with this app: Real Football or Cars. EagleTrack is a simple tracking application for end users to track their individuals fleets with features like history, geofence and multiple reports. Mystery Escape Spirit Detective - You Can't Escape This! Flappy Bee is a very simple but the game makes it easier to be angry Click on the screen to control bee wings, try to avoid obstacles, to obtain the best results. Product Features: - Touch control. - A lot of fun. - Beautiful graphics. - Challenging.